The Care Circles of Westchester is a new program to provide family caregivers with help from a group of volunteers who can assist with caregiving tasks. A care circle is a group of volunteers who are willing to help a person who needs care – such as an elderly person – with the tasks of daily living, such as doing laundry, walking the dog, or giving the senior a ride to a doctor’s appointment. 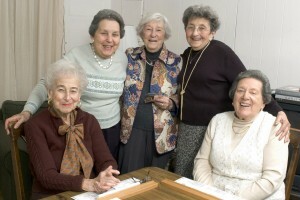 The Care Circles are part of Westchester’s Livable Communities Initiative, one of the goals of which is to help seniors age in place, in their homes and communities, rather than in a facility. Having a community of volunteers to help with daily living tasks can advance that goal. To learn more about the program, contact Colette Phipps at cap2@westchestergov.com or 914-813-6441.